In this edition, we conducted an email-based interview with Roman Telezhinsky, the lead developer of Valentina, a free software pattern making program, which is licensed under the GNU GPL version 3 (or any later version). I am 24 years old and live a little town in Ukraine. I studied programming at a local college and a regional university, but I have never worked professionally as a programmer. These days, all my time is dedicated to this project. Why is the project called 'Valentina'? I named it after my mother, Valentina, who helped me create this project. 2D is much easier for one person to implement, because 3D is more complicated than 2D. What inspired you to create Valentina? I can't say this was just for fun. 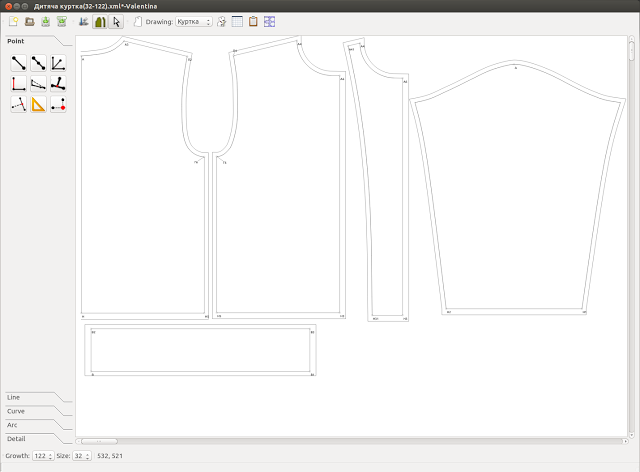 I can't even say I like pattern making, but I do enjoy programming. Writers seek what to write about, scientists what to study, and painters what to paint. In my second year of college, my mother gave me this idea and so I began working on it. I have changed languages several times since I began: pascal, Delphi, С/gtk, C++/gtk+, and finally C++/Qt. I think for good software takes more than programming skills alone, you also need some skill in the problem area you are working within. One other motivation for developing Valentina came some time ago, when we found a customer who was interested in pattern creation software. This certainly gave the program a second breath. What are the main problems in creating program like this? Well, you certainly need to know pattern making, which includes understanding how pattern making standards vary between countries and regions. A second problem is in nature of free software projects. If you don't use an application, you often don't want to contribute to the project. 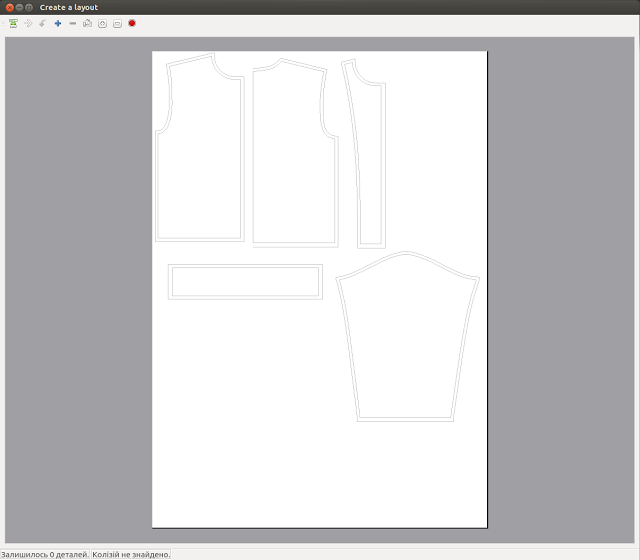 How many programmers know pattern making? Right now, the kernel of the community are people who want to use the program, know pattern making, and know programming. At this stage the program is in active development, but I have implemented only a little of the functionality needed by a common user. 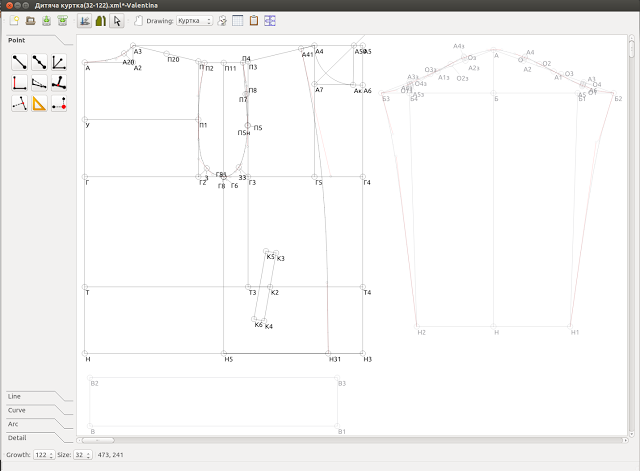 Despite the current limits, the program is fully functional and already allows us create patterns for our customers. Anyone can download these examples and see for themselves. What features do you think really sets Valentina apart from similar software? It is the best free software program out there. Like all free software projects, it is a social experiment. No one can know whether the project will find support in the community or not. So people are a very important part of such projects. Valentina is for people who want to create patterns, who want to have replacements for proprietary software, who want to have choice, and who want to know they can easily share, give, or even sell patterns. It is the perfect project for experimenting in pattern making. Why did you choose the GNU GPL version 3 as Valentina's license? I chose this license because I am an independent developer. This license helps me defend my rights. And, of course, I like the GPL and this helps me use lots of code in the project that I maybe never could have created myself. How can users (technical or otherwise) help contribute to Valentina? Don't wait, do. Active participants are the only part of the community that get what they need. If you just want to wait for Valentina to be complete, you will never get what you want. If you like the idea of this project then tell me. This helps a lot. We have many tasks even if you don't know programming, so anyone can help us. Also I want to say thanks to the Valentina team and all the people who help me. What's the next big thing for Valentina? I plan to release the next version after implementing enough functionality for the common user. The next minor release will be for beta testers. Please see the Valentina entry in the Free Software Directory for more information. Enjoyed this interview? Check out our previous entry in this series featuring Joerg Henrichs of SuperTuxKart.